It’s a common problem for cancer patients: Chemotherapy changes the taste buds so that using metal silverware suddenly causes a bitter metallic aftertaste. Plastic cutlery is one alternative, but it’s not exactly the most environmentally friendly, elegant, or cost-effective option. 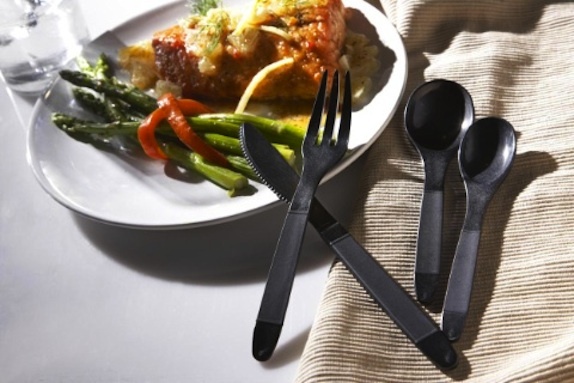 TruFlavorWare claims that it has another option–silverware made out of a non-metallic, proprietary material that is designed to mimic the weight and feel of metal forks, knives, and spoons. some harsh metallic version of a fruit salad.” The organic, BPA-free flatware won’t break the bank, either. A four-piece set (with case) retails for $19.95. TruFlavorWare probably isn’t available in a kitchen supply store near you, but that may soon change. Ladanyi just won ProtoLabs’ first Cool Idea! Award, which means that he will score free prototyping and short-run production services from the machine and injection molding parts company. There are other options for chemo patients; reusable plastic flatware, for example, could work just as well. But Ladanyi has the right idea. This is an under-served market, and one that will undoubtedly be relieved to find an alternative to foul-tasting food.